Cloud Conference | Are your networks 100% secure? Are your networks 100% secure? South Africa has recently seen an upsurge in data leaks, suggesting that mission-critical networks from organisations across all industries are at serious risk. Recent findings by iAfrikan revealed that a database containing sensitive personal data leaked just under 1 million personal records of South African citizens online. In 2017, many companies also experienced major cybersecurity breaches. According to a study by the Ponemon Institute, 7 out of 10 organisations say their security risk increased significantly in 2017, while only a third of organisations believe they have adequate resources to manage security effectively. 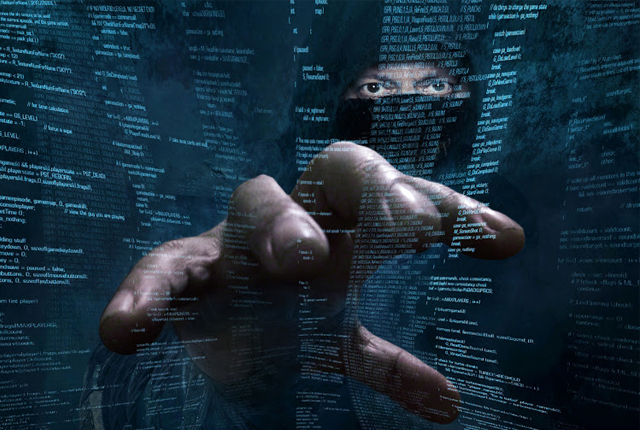 Cybercrime damages have also exceeded $600 billion in 2017, as revealed by McAfee and the Centre for Strategic and International Studies (CSIS). These data leaks also indicate that networks and data in organisations, such as banks, legal firms, mining companies, and retail outlets, aren’t 100% secure. Considering that nearly every citizen has a bank account or an account with a retail trader who may have vulnerability issues, it is imperative that these networks are managed efficiently, are up to date, and that organisations have a clear view of what is going on inside their networks. The reality is that every organisation is susceptible to a security breach, and no organisation can afford the subsequent impact. Many companies aren’t constantly monitoring how their networks are performing or what the vulnerability is, and making sure that industry-standard configurations are being implemented when a vulnerability occurs. This is one of the main reasons data and networks aren’t 100% secure. To help businesses prepare for these growing risks, ATS Network Management offers SolarWinds Network management, centralised threat detection, compliance reporting, forensic analysis and database performance monitoring. The SolarWinds’ revolutionary network monitoring solution – Network Performance Monitor (NPM) – allows network engineers to manage hybrid networks as they grow, with end-to-end visibility. Coupled with Log & Event Manager (LEM) and Network Configuration Manager (NCM), it offers centralised threat detection, incident awareness, compliance reports, and active response. Using the software, IT departments can gain insight into the health and performance of service delivery networks, drill down into specific details, view histograms and baselines for key metrics, and monitor the entire infrastructure – all from a single customisable console. It offers reduced outages, detection, diagnosis, and resolving of performance issues, as well as traffic viewing, configuration, and performance details for on-premise, hybrid, and cloud services. It also sends intelligent alert notifications as vulnerabilities are detected, so users can manage them before they become critical. SolarWinds SIEM: Log & Event Manager – SIEM tests, detects, and reports on vulnerabilities by analysing logs on Firewall switches to see where vulnerabilities are and where security breaches could occur. It allows for instant improvement in security and compliance with an easy-to-use and affordable SIEM. SolarWinds Log Manager for Orion is a powerful log management tool, fully integrated with the Orion Platform. With real-time log collection, analysis, and visualisation, users can gain out-of-the-box visibility into the performance and availability of their IT infrastructure. SolarWinds Network Configuration Manager (NCM) – NCM integrates with NPM and other IT management solutions to supplement vulnerability testing on devices. In addition to vulnerability, it also provides compliance reports, ensuring customers are up to date with industry compliance standards. User Device Tracker – The user device tracker is a module for the NPM and allows a user to track whatever may be connected to the network. This gives users visibility and insight to identify the type of rogue devices or unauthorised access there might be on the network. It provides users with graphical information in an instant – which means no waiting for a report to come out. It also gives the user the ability for immediate port shut-down from the interface. Patch Manager – Many vulnerabilities occur from unpatched and outdated devices. ATS offers automated patching of Microsoft servers and 3rd-party apps for intuitive reporting to quickly address software vulnerabilities. The SolarWinds security suite allows users to shut down the vulnerability or produce forensic analysis with in just a few hours of implementing the solution. ATS Network Management (Pty)Ltd was established in 1996 to provide our clients with cutting edge network management solutions. This includes diagnostics, analysis, performance management services as well as tools to enable the optimisation of their enterprise networks. Today enterprise networks are delivering on the promise of client/server computing and web based distributed networks. Because they run the entire businesses, these networks are critical to the organisation’s ability to function and be productive. At the same time, the rapid growth of networking and the Internet increases the complexity and cost of designing and managing the computing environment. As these systems grow in importance and functionality, enterprise networks become increasingly distributed, incorporating users and resources in remote sites. As such networks are complex, they require more resources from the organisations they serve. The network must be available around the clock and continually perform at prescribed levels. Diagnostic capabilities, collecting real-time data on network usage, and being able to analyse this data. For large enterprise networks, it is mandatory that these components be integrated, cover all topologies and work with all industry-standard components regardless of brand or operating system. ATS Network Management is committed to tackle this challenge head-on through their range of network services and leading network monitoring products. Leading the way with the SolarWinds product range as their main stream products, ATS Network Management has achieved the highest status of partnership with SolarWinds. This partnership enjoys almost 15 years of working together with SolarWinds which is one of the longest standing relationships worldwide. SolarWinds’ mission has been to provide purpose-built products that are designed to make jobs easier for IT professionals, MSPs, and DevOps pros. The company offers value-driven products and tools that solve a broad range of IT management challenges – whether those challenges are related to networks, servers, applications, storage, virtualisation, cloud, or development operations. ATS will be exhibiting at the MyBroadband Cloud, Hosting, and Security Conference taking place at the Gallagher Convention Centre in Midrand on 13 June 2018. To find out how you can benefit from ATS Network Management solutions, visit their stand, or contact ATS on 011 8861740 or via [email protected]. https://cloudconference.co.za/ | Cloud Conference Press Office.